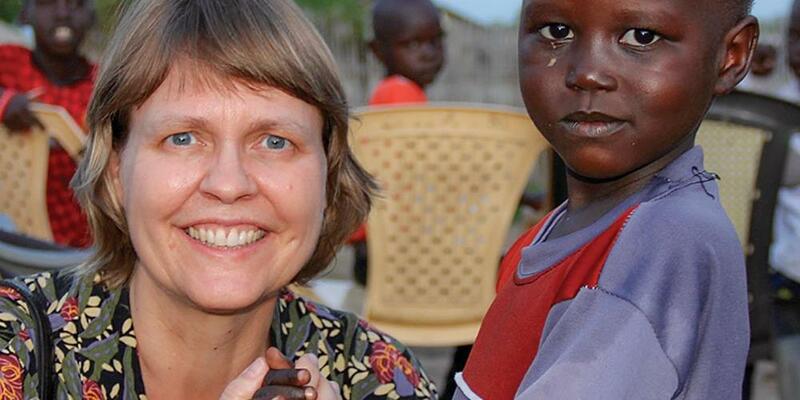 I’d heard that South Sudan could be a dangerous place, but I knew I was on God’s mission. Since 2011, the country has suffered numerous wars. South Sudan is one of Africa’s most linguistically-diverse countries, with several hundred language groups. South Sudan has a predominantly Christian and tribal government while the Islamic Sharia law prevails in Sudan to the north. I’d heard that South Sudan could be a dangerous place, but I knew I was on God’s mission and that it was important to visit our Adventist brothers and sisters there. Arriving in the capitol city of Juba, I soon met up with Earley (YAR-lee) Simon, our video producer for Mission Spotlight, and television program, Mission 360. We spent the next few days interviewing people from across South Sudan, listening to amazing stories of how God had intervened in their lives. Because of safety concerns, all interviews were conducted on the enclosed mission compound of the South Sudan Attached Territory. On our final day, we asked if we could have a brief tour around Juba for picture-taking. Arrangements were made for a driver and a local pastor to accompany us. Dr. Fesaha Tsegaye, the Health Ministries director for the East-Central Africa Division was also with us. We were told to be discreet, using only our cell phones for taking pictures. Driving around Juba, we noticed many U.N. vehicles. Barricades and tall fences with razor wire surrounded the government buildings. Approaching the Nile river, we continued snapping pictures as we crossed the only bridge in Juba. Arriving on the other side, our driver drove a little farther before turning around. This time as we crossed the Nile a soldier was waiting for us. We were forced to turn back and cross the bridge again, where several soldiers armed with assault rifles were waiting. We were told to get out of the car and walk down a steep embankment to a two-room makeshift building. Leading us into the inner room, the soldiers motioned for us to sit down as they took our cell phones. Then they began yelling at our hosts in Arabic. Earley and I silently prayed. Aware that kidnappings happen, I wondered if that was where we were headed. “Tell my family that I love them” were the first words that came to mind. We handed him our passports. Out of the corner of my eye, I noticed soldiers bringing two assault rifles into the next room. “Are they going to shoot us?” I wondered. Immediately I sent up a quick prayer— “Lord, I’m Yours.” Instantly I felt God’s peace completely surround me and I knew that no matter what happened—whether I would live or die—everything was going to be all right. I had perfect peace. “Okay, Lord, but show me how,” I silently answered. I looked around. What a miserable situation this man and his soldiers were in—lives full of fighting, killing, uncertainty. What hope would they have if I didn’t share? Then miraculously, the soldiers handed our phones back to us. Standing up, I set the five pens on the leader’s desk. So I prayed for Wilson, his family, his soldiers and their families, and for their country, that peace would come. After the prayer there were tears in his eyes as he shook my hand. We were free to go. “For whoever desires to save his life will lose it, but whoever loses his life for My sake will find it” (Matt. 16:25, NKJV).